Fritz Lang, one of the true geniuses of the cinema, has been one of the most successful as well. Trained as an architect and heavily influenced by the new techniques in lighting developed by max Reinhardt, Lang’s films are the most consistently pleasing of the German films to modern audiences. 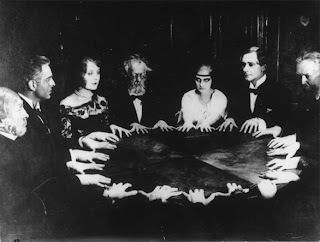 For the script of Dr. Mabuse, der Spieler, Ein Bild der Zeit (Dr. Mabuse, the Gambler, 1922), Lang collaborated with his wife, Thea von Harbou. Despite the fantastical nature of this spy yarn, Lang isisted then, and so did Berlin critics, that the film was a document about the current world. Mabuse, like Caligari – an unscrupulous master mind, heads a gang of killers and criminals, all of whom he has u nder his power by hypnosis. Mabuse successfully evades identification by impersonating a psychiatrist, a drunken sailor, and a financial magnate. When Mabuse is finally apprehended by the forces of Virtue, he goes mad. The obvious parallel in this film to the Nazi criminality h as been frequently overemphasized, but the plot does suggest a kind of sociological milieu given to extremes. At least the plot does show how closely tyranny and chaos are interrelated. Unfortunately, however, it, like many other German films of this times, seems to present either demonic tyranny or chaos as the nly two possibilities. Lang’s skill in the use of lighting and his concern for detail and authenticity are ap parent from the first sequences. An example is the attack of the man bearing the contract in the train. On three occasions three characters consult their watches in three different places. Step by step, the intrigue moves forward, and the editing emphasized the quasi-simultaneity of the actions. As a young man, Sergei Eisenstein was so dazzled by the editing in this film that he obtain a copy of it for his own analysis. Lang used Expressionism as a tool for his own creation of moods. In many ways he prefigured Hitchcock with his comic touches, his ability to introduce characters with a few deft strokes, and his overall flair for the “thriller”. Attention has been dranw to the effectiveness of Lang’s shot wherein Mabuse’s face, a small bright spot ona black background is suddenly projected forward at frightening speed, until the cruel visage fills the screen. 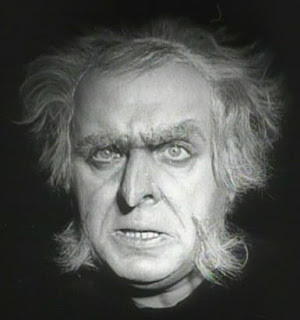 This technique was also used, in a modified way, in Murnau’s Nosteratu.